The B.O.S.S. 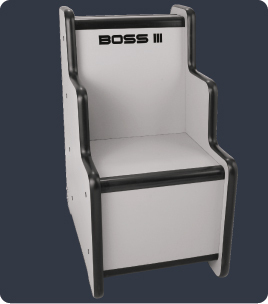 Body Orifice Security Scanner is available in two different models The B.O.S.S. II & III. The optional battery kit and standard wheel kit enable the B.O.S.S. to be used in the field and remote locations. The B.O.S.S. Body Orifice Security Scanner is equipped with an easy to use digital keypad control. The menu system is intuitive and secured by a user definable password. The digital signal processing circuitry enables the B.O.S.S. detector to discriminate for either targeting or rejecting different types of metallic objects for optimal security screening. 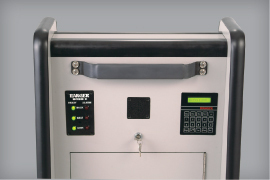 Constructed of highly durable materials for many years of reliable service in heavy duty security applications. Freight is by truck; weight is approx. 380 Lbs crated and varies from $450 to $550 depending upon your location. Please call for quote.